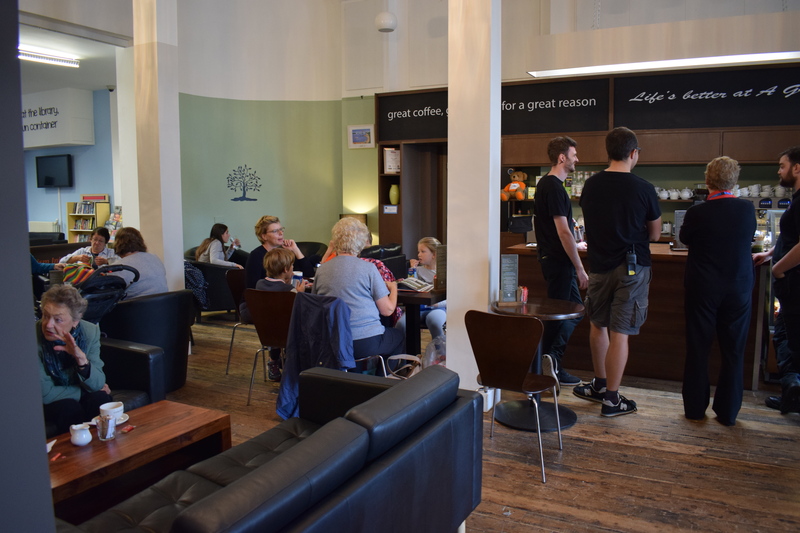 A Great Little Place café has gone down a storm in the first few months of its new home at The Atkinson – so much so that staff are having to turn customers away! The café is now on the hunt for new staff and the charity who runs it – Autism Initiatives – also have a variety of other job opportunities in Southport. Autism Initiatives supports people with autism through social enterprises, supported living and community outreach. It began when Pat Minshull was worried about the lack of support for her son Peter, in the 1970s. She raised funds to found Peterhouse School, now on Preston New Road, and since those early days the charity has grown and now has services in Scotland, Ireland and Wales, supporting up to 3,000 people with autism. In Southport at the moment there are part time and full time jobs available, both in the café and as a support worker in other services.